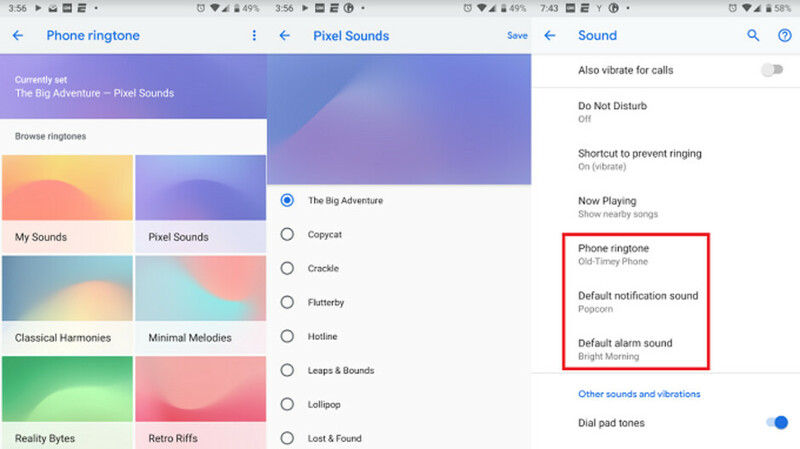 Earlier this month, we told you about an app that was listed in the Google Play Store that was designed to deliver exclusive ringtones, notifications and alarms to Pixel users. Strangely enough, when the December monthly update arrived for Pixel users, the app was listed as receiving an update under the "My apps & games" tab. But the only information the update contained were the following sentences: "Updated design" and "Different collections to fit your style." Well, the app has just been updated to version 2.0 making the Sounds app functional on Pixel handsets. If you go to Settings > Sound > Phone ringtone, you'll see the new UI. It includes vizualizations for each ringtone with a different color based on the category it was chosen from. Options include My Sounds, Pixel Sounds, Classical Harmonies, Minimal Melodies, Realty Bytes and Retro Riffs. Check out the screenshots from the Sounds app, which you can find at the top of this article and in the slideshow below. By the way, if you're curious, we use Old-Timey Phone for the ringtone, Popcorn for the default notification sound, and Bright Morning for the alarm sound on our Pixel 2 XL. Not on pixel 2016 yet. Got it a few minutes ago. "Sounds app" for phones with the worst sound recordings on the market - so cute.